Windows 98/2000/NT/XP/2003/Vista/7 HTM files, similar to HTML are used for storing web pages. It is the same Hypertext Markup language files with no noticeable differences. The choice depends on web server settings. 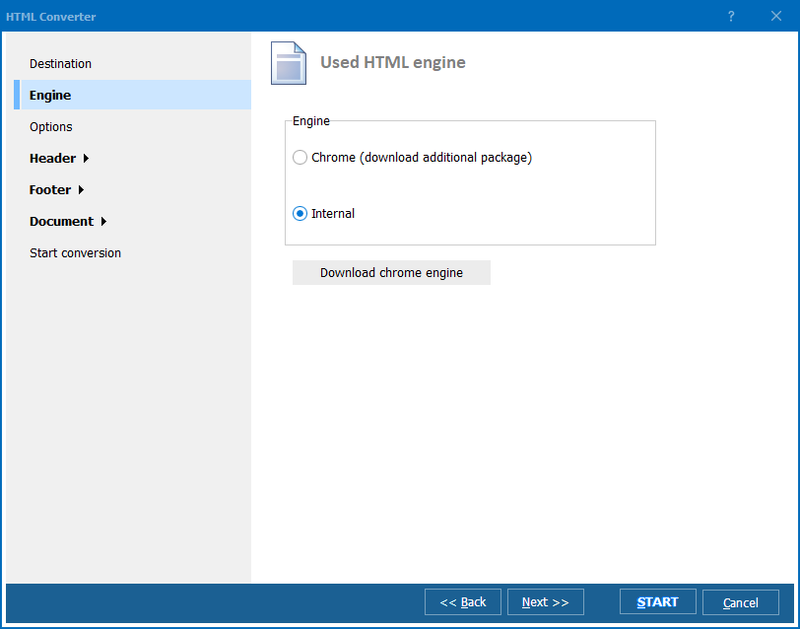 HTML is mostly associated with Unix applications, however HTM is more common for Microsoft programs. 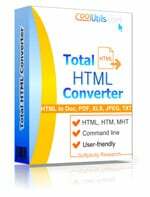 Total HTML converter processes HTM source file in batches. This means user is able to convert as many HTM files as necessary within one simple conversion command. By the way, you can handle this through the command line, using simple and laconic parameters. The program supports several languages of interface, including English, German, French, Spanish, Russian and even Japanese. 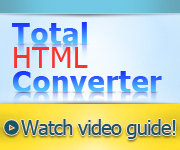 Buy Total HTML Converter now for exporting your web pages to any graphic and text format.